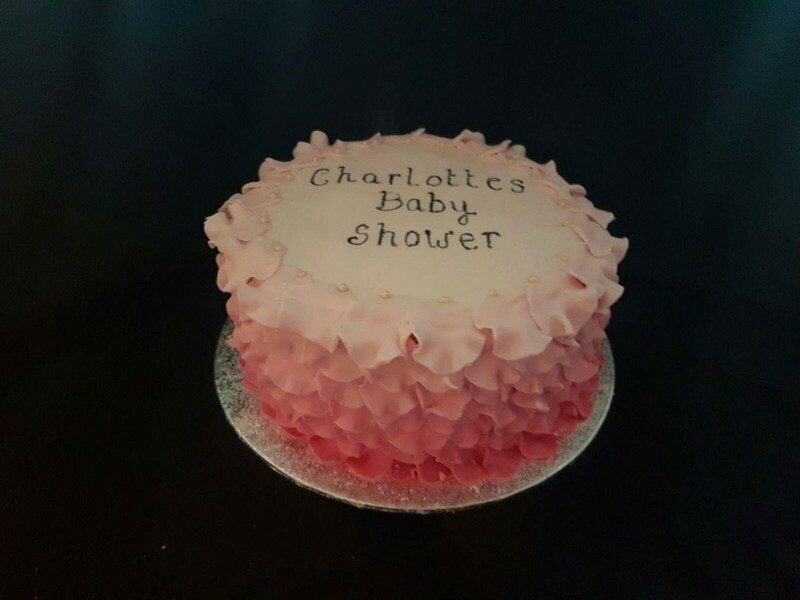 A simple baby shower cake, decorated with pink petals, decreasing in colour intensity the higher they go. simple message hand written on the top. Delicate and impressive.